Albert Gordon "Dutch" Roth, born September 20, 1890 in Knoxville, Tenn., is recognized as one of the most prolific early photographers of the Great Smoky Mountains' Greenbrier and Mount Le Conte sections. What began in 1913 as a diversion soon developed into a serious avocation as Roth perfected his penchant for photography while avidly hiking the unexplored regions near his home. He worked exclusively with a Kodak 122 camera, and, often carrying a heavy tripod, would climb twenty to thirty feet up a tree or venture hundreds of yards off the trail to capture the landscape images for which he would later be noted. Roth remained an amateur photographer, and, consequently, his photographs were never highly distributed. 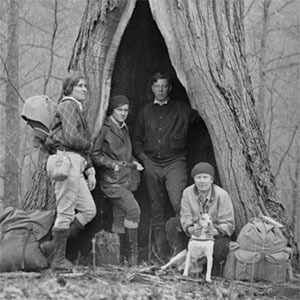 Because of his frequent travels in the mountains and early association with a local hiking club, he left a valuable collection of images that illustrate the pioneer way of life before the advent of the national park.